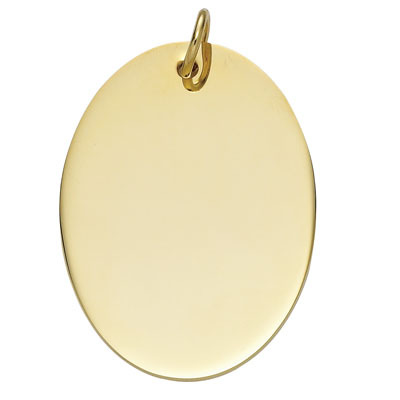 Item description: 1 3/4 inch oval key tag, gold plated both sides. 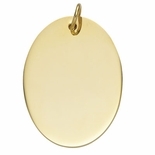 Engraving Options: Engraving is available for maximum of 4 lines of text only both front and back. You must be logged in with your Dealer Password to choose engraving options.